Some neat facts and uses of MINT - Cooling for the summer heat ! 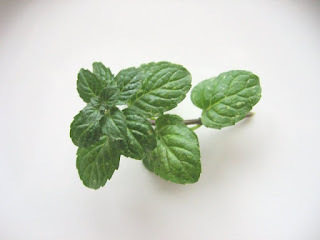 Mint is a common herb - almost anyone without any herbal background knows what mint looks like or some basic uses for it. However, many of us overlook some of the potent medicinal benefits of this herb which can be easily grown in your backyard, pot, or bought fresh from the store. There are over a dozen species of mint plants - most of which grow in moist environments and can grow very fast. These include peppermint, apple mint, ginger mint, gray mint, spearmint, orange mint, banana mint and even chocolate mint ! Yes, it sounds like an ice cream flavour, but chocolate mint has a brownish tint and has a delicious chocolatey mint flavour. Mint can be grown all-year round (in warm climates) and can be harvested at any time of the year. When collecting leaves, you can consume them fresh, freeze the leaves, or dry them and store in airtight containers. Ayurveda: Most varieties of mint are cooling which helps balance 'Pitta' and generally pacifies all the doshas. It has a sweet taste and is often used to support the digestive & respiratory systems. Soothes the stomach: mint has been known to help soothe the smooth muscles in the gastrointestinal tract and expelling gas, relieving discomfort. Peppermint has also been helpful in people suffering from IBS. Can take as a tea or fresh leaves. Headache: applying peppermint oil to the temples and inhaling the aroma can relieve pain as mint help relax tense muscles. Reduces congestion: mint has a strong aroma which opens up the airway, and mint helps break up and release phlegm. If you have a cold, take a bowl of steaming water with a few drops of mint oil and inhale the vapour. Anti-inflammatory: mint has properties which relieve inflammation - in the digestive tract, and respiratory tract. Promotes relaxation: mint helps you wind down - drop some oil in a warm foot bath or keep a small bottle to apply on your skin to help you relax. It also helps clear stagnation not only in the organs but also on the emotional level. 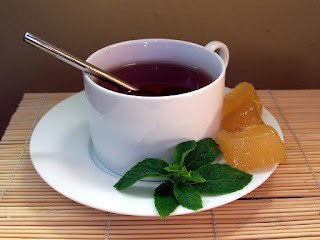 Teas: pour 1 cup of boiling water over 1 tsp of dried mint leaves, or a few fresh leaves. Steep for 5-10 min and enjoy. Summer drinks: add mint leaves to lemonade, limeade, fresh juices or a lassi. Salads: mint adds a delicious flavour to fresh salads. Try adding chopped mint with cucumbers, or chopped mint in yogourt to make a delicious raita. Add to cook dishes: toss in chopped mint with oven-baked potatoes, fried rice (biryani), blend in a summer soup. Mint Chutney Recipe: Enjoy this 2 min video and learn how to make a simple & delicious coconut-mint chutney in minutes ! *This information is for educational purposes only. If you have a medical condition, please check with your Doctor or Health Practitioner. Awarded Top 75 Naturopath Blog! Copyright by Leena Athparia. Simple theme. Theme images by Synergee. Powered by Blogger.